Elijah Streams: How to Personally Experience More Supernatural Miracles! 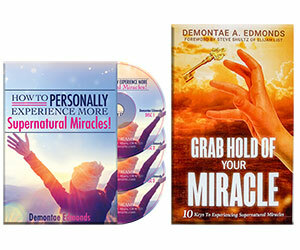 How to Personally Experience More Supernatural Miracles! You're going to LOVE this new episode with Demontae Edmonds. He has been very accurate and detailed in his prophetic words and insight… even supernatural healing miracles that you'll hear about in this episode! • Nothing is impossible for God, which means that nothing is impossible for you to do through HIM! • How having an attitude increases God’s miraculous works. • God wants the Body of Christ to see all the gifts in operation. I encourage you to WATCH this powerful episode from Demontae Edmonds and then order his products below that we put together JUST FOR YOU — our Elijah Streams viewer. To view and order his products click here! Enjoy this episode and special products from Demontae Edmonds! You'll see the impossible become possible! 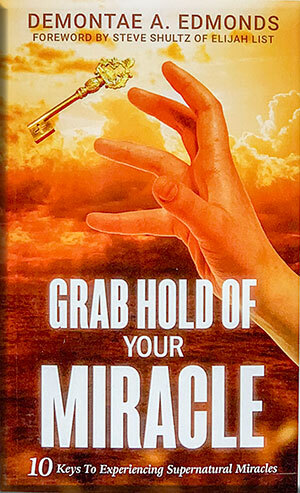 The 10 keys to unlock the MIRACULOUS in your life! As the Author says, "If you can see it, you can say it, and if you can say it, you can have it." You'll learn the Key of Reversing Your Faith. You'll find that the Lord, Jesus Christ, is ready to anoint you again to SEE the miraculous in your life... If you are willing to let go of the past, God will set you free!